Bill works as a superintendent at Anchor Shoring & Caissons; his mechanical skills were self-taught through a string of cars. That first Nova was replaced with a secondhand 1969 GTO and then, when the Pontiac was written off, Bill bought a brand-new 1979 Buick Regal Sport. 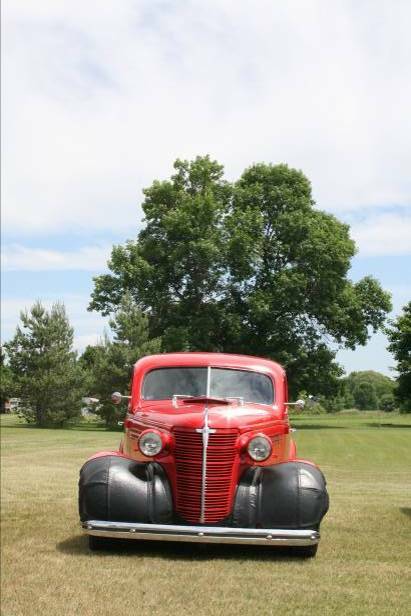 His first hot rod was a 1947 Ford Prefect that he bought in 1988. “I don’t know why I bought it,” he admits. “The price was right and it was different. I only owned it for a short while and then sold it, and in 1990 I bought my 1937 Buick. It was a California car and I was the third owner. I had it until 2002, and I traded it for a 1963 Corvette roadster. I sold that one too, but in the meantime, I bought my 1937 Ford sedan delivery, and then the 1938 Chevrolet sedan delivery that I’m driving now. I also bought a 1939 Chevrolet two-door sedan that I sold, and recently bought a 1987 Buick.” The two sedan deliveries and Buick Grand National are still in the family – which includes his wife Val and sons Josh, Mike and Kris. day, it made me proud,” he says. His dream is to take a trip that follows the NSRA circuit. “That’s probably fourteen shows from coast to coast,” he says. Anchor Shoring & Caissons. His spare time lately has been hauling 8 soap box derby cars to races and coaching his four grandchildren down the track. It’s nice to spend time with the grandkids. Come December, Bill and his wife Val will head down to Florida for the winter, something they really look forward to.